With this series, Google has spread the Christmas cheer far and wide across the world. If you aren't quite feeling festive enough, this doodle should do the magic! 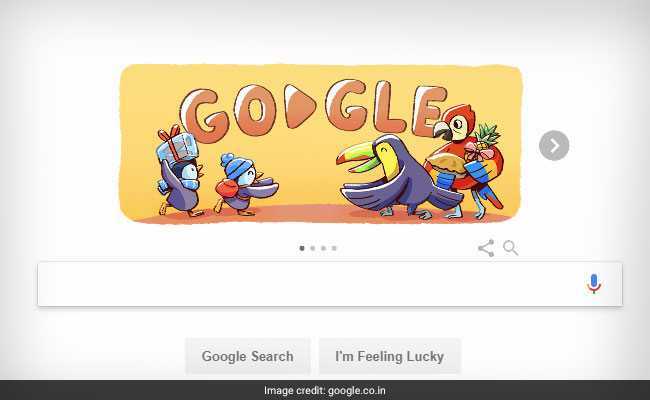 Christmas is here and Google announced the beginning of merriment with a four picture series of Doodles. December is synonymous with spending time with our family, friends and loved ones. And what's better than a vacation with the family! This is the thought behind the Christmas Google Doodle which shows a family of penguins - a "pair of slippery-footed siblings" - preparing for the season - packing their bags and suitcases for a vacation. The illustrations show four calendar dates - 18th December, 25th December, 31st December and 1st January. One of the illustrations in the series has a photo frame with a picture of the penguin and parrot families and four wrapped gift boxes. On the first day, which was 18th December - when the series debuted, the pair of penguins, inside an igloo at the South Pole, is seen packing their bags for a vacation with the family. They are visibly excited to be reunited with their parrot friends up north in a warmer region.